The holidays tend to bring out the best in people when it comes to lending their time, money, or assistance to charitable causes. 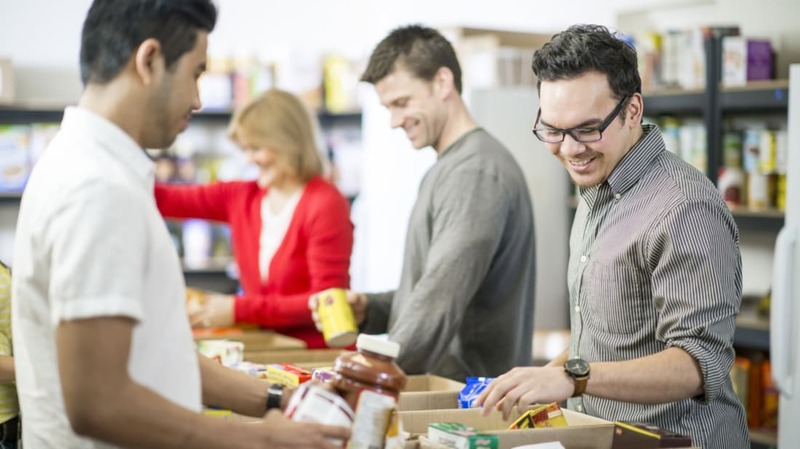 If you want to do more for your local community but aren’t sure where to start, check out these seven tips for seasonal giving. Many local charities arrange for donors to pair up with disadvantaged families during the holidays so they can help fulfill wish lists for presents, pantry goods, or other items. You’ll typically be given information on clothing sizes, gift ideas, and other details that can make a tremendous difference in a household less fortunate than your own. 2. VISIT A NURSING HOME. Despite their communal living situation, residents of senior living facilities can struggle with loneliness and isolation. Those feelings can be compounded during the holidays, which is why many activity directors of nursing homes welcome visits from people in the community. To arrange a date, you can phone the director and see if they’re amenable to children, pets, or other ways of engaging residents. Ideally, you wouldn’t make this a one-off—assisted living locations love to welcome guests on a regular basis to help form friendships with occupants. 3. VOLUNTEER DURING INCLEMENT WEATHER. Homeless shelters and soup kitchens are always in need of a helping hand. When bad weather hits, they can sometimes become overwhelmed with the increased demand for space and food. Local churches will sometimes open overflow centers, and you can contribute to their efforts by lending your assistance. Check with your local housing department to see if your area could use the help. The need for blood and platelets never ceases, but it can become stressed when holiday schedules and bad weather reduce the number of donors. To help offset any shortages, consider donating during the holidays. Your contribution could very well be responsible for saving a life. 5. DONATE CLOTHING IN GOOD CONDITION. The cold months drive up the need for warm garments among homeless and disadvantaged populations across the country. While it’s commendable to donate any clothing you can, consider throwing in a couple of items that are relatively new and in good condition. A sweater free of holes or jeans that haven’t been worn out could make all the difference for someone who doesn’t have the means to buy it off the rack. 6. SEND A CARE PACKAGE TO THE TROOPS. Being away from family is never easy, but being stationed overseas during the holidays can be especially difficult. Several organizations arrange for care packages to be forwarded to military personnel serving out of the country. Even a simple greeting card expressing your gratitude for their efforts could make their holiday a happier one. 7. DELIVER A PET TO A NEW HOME. Volunteering at an animal shelter is a compassionate act regardless of the season, but finding homes for their furry residents brings a special kind of holiday cheer. Some animal shelters arrange for families to have their new adopted pet delivered to their door during the holidays: The animal couriers driving the pets to their new home sometimes dress as elves to make the experience a memorable one. Check with your local animal care representatives to see if there’s an opportunity to participate in your area.